Litzy Kohlmann, born in Vienna into a Jewish family, possessed no other keepsakes than a cardboard box with a few photographs in it, of her parents and of “an English student with a pipe in his mouth, very good looking…” This enigmatic figure, the “English student”, whose wife Litzy was for twelve years before marrying the journalist Georg Honigmann, provides the key to a fantastic story. “A chapter of my life” – this is what Litzy, with marked understatement, called the most sensitive phase of her curious biography: marriage to the notorious “master spy” and double agent Kim Philby, who worked as a Soviet spy in England and later fled to Moscow. 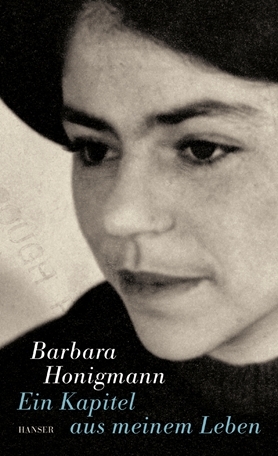 Barbara Honigmann became famous for EINE LIEBE AUS NICHTS, the portrait of her father, which launched her fascinating account of her Jewish family background. Now she tells the moving story of a remarkable woman whose life in the war years took her halfway round Europe – from Vienna, her hometown, to Paris, London, and East Berlin, before finally coming back to Vienna. Barbara Honigmann presents her central topic – the trials of men and women in times of persecution – in the form of very individual and personal life stories. Her unmistakable touch and her characteristic flashes of humour are evident in her newest book, an affectionate and touching tribute to her mother.